I am deeply touched that a couple people have contacted me since my last post, checking in to ask if I’m doing ok. As a very solitary person, I’m not used to that! I used to rebel against having to check in with family and significant others, which confused and angered them. Not at all my intention, of course. I was raised by a working, single mom back when that wasn’t as common, and naturally was on my own most of the time. I’ve read that the term “dorky” might have come from “door-key” (aka latch-key) kid, which makes me chuckle. It would be true in more than one sense in my case! Hehe. I took a city bus home from my grade school across town, as it was a better school than my local one. (I remember one afternoon I took the wrong bus and how scared and confused I was! I believe that was when I was in the third or fourth grade.) Add in first a bike then later a pony, and I was everywhere other than at home, sometimes with other kids and sometimes alone. I became fiercely independent and adventurous…qualities not easy to combine with trying to build a life with others, especially someone you’re romantically involved with. Here’s me and my boy, taken yesterday after doing a last adjustment on my scooter carrier. I have some bruises today (need to get comfortable putting my green baby up there) but with this task done I’m ready to hit the road! 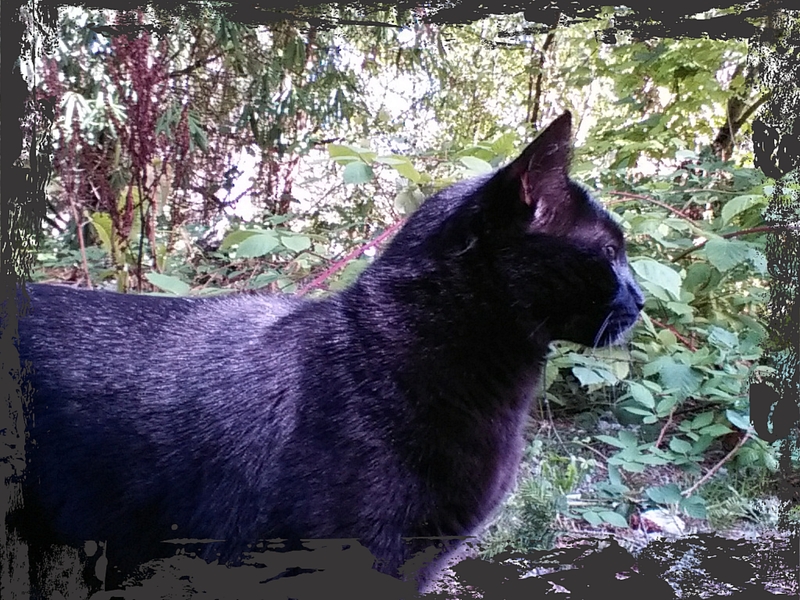 He’s a handsome one, eh? Learned patience and tolerance from growing up with a crazy mom. Yay? Silver linings and all that. One last thing today. My scooter is very important to me. She gives me a somewhat similar feeling to riding a horse, gets an incredible 90+ mpg, and is useful for local trips and errands. I would not be able to finance replacement if she were lost to me. So the very last thing to do yesterday was figure out how to (hopefully) deter her theft. A braided wire cable locked with an uncuttable lock is now wrapped around her belly and the carrier. I also have a movement-triggered alarm to put on her at night. Chances are I’d hear anyone messing with her or the truck anyway, but I figure startling a prowler can’t be a bad idea. I also have a motion-activated light to help convince people to move along. And a bad temper towards anyone messing with my stuff. Given I literally chased away two attacking Komodors (I used to work with dos for a living and am definitely an Alpha) from a friend’s dog I was walking, I think I can be scary when necessary. I’ve been approached by unsavory men trying to intimidate me and scared them off too. So, funnily enough it’s my stuff rather than my person I worry about. I’m awkward in social situations, but don’t mess with me. Grrrr! A couple of lovely people have spoken to me more than once about giving followers a chance to donate money to me. I’ve been resistant, but….I’ve decided it won’t hurt to put the information out there, at least I hope not! What with the Beast needing a little trip to the shop, and my scooter being semi-wrecked, and building Oliver’s Nest, and, you know, life, maybe it’s a good idea. So, if you wish to donate, please look over at the right-hand side and you will see a Paypal “Donate” button there. So I’ve done a possibly bad thing, but for a good reason. 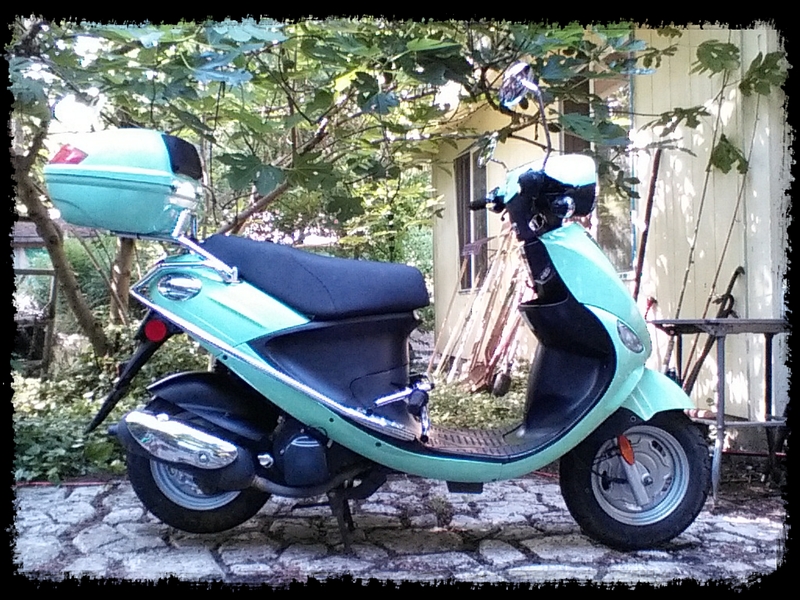 My terrific Insurance company sent me the check to fix my poor lil scooter, and I’ve gone and used some of the money for Oliver’s Nest. I have time to get Saxith (yes, I name all my vehicles) fixed, but I don’t know if I have a lot of time to get my truck house finished. Seems like a no-brainer to do what is the most important *now* and wait on the rest. 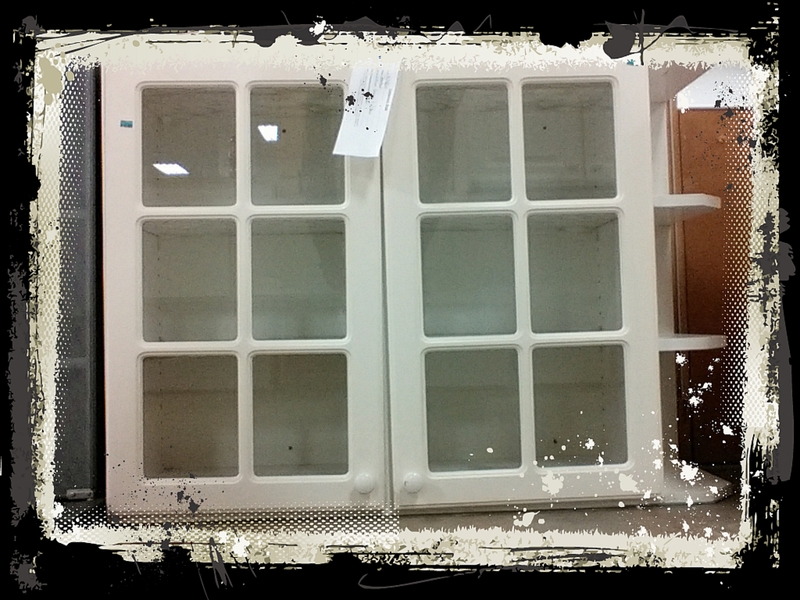 This section is 13″ deep and 30″ tall, giving a respectable 16″ between it’s bottom and the counter top below. Normally there is an 18″ space, but everything is smaller in Oliver’s Nest. Once set on a short base, this cabinet will tuck under the counter sink, on the floor. I might even create a flat pan/cutting board storage in the base. This view was taken standing behind the cabinet. The flat part with the blue tape is the glass-front cabinet doors. Oh, I want to mention that the rerouted fuel intakes are working as intended. I filled the front tank a few days ago and the flow was smoother and faster, and no leaks. Phew. Thank you, Son, for your help there, I couldn’t have done it without you! So it’s off to paint I go. This is all so exciting to me! 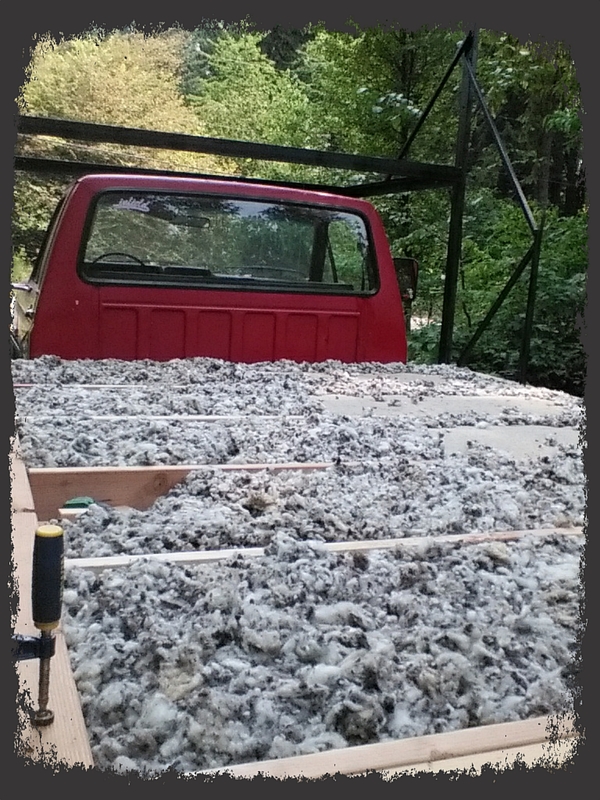 I have multiple boxes of sheep wool insulation that completely slipped my mind. I dragged one out of storage, cracked it open, and BOOM, more insulation than I even needed to finish filling the floor. So that makes it four different types of insulation in there: Polyisocyanurate, a different kind of rigid foam board, Roxul, and wool. Kinda makes me smile, but it’ll work just fine. Dragged up and cut to size one of the 3/4″ plywood sheets, but then realized I’d forgotten to sand down some uneven spots. Sigh. Back on the scooter to the local big box store for sandpaper to fit my little powered sander. Now it’s too dark to work, so I thought I’d throw on a quick update. 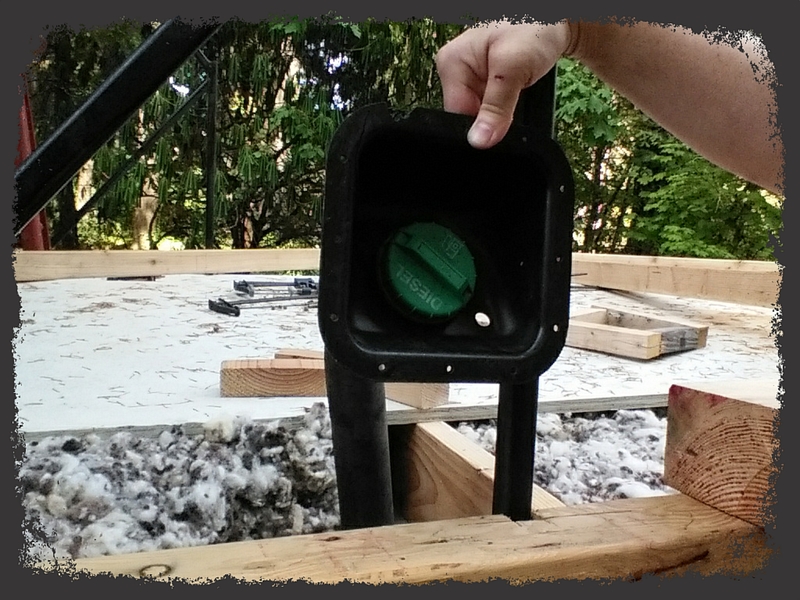 Raring to get out there first thing in the morning to finish up the sub-floor so I can finally start on the walls. That’s when it looks like an actual build is happening. Met my first “travelers” today, by happy chance. We chatted for a while, and exchanged emails as they know of some great places to camp and stay for longer periods of time. It was pretty cool to talk to people who are already doing what I’m just planning…makes it more real…or something. Inconvenient spot to fill your tank, believe me. Apparently typical location on flatbeds. I have two of these to reroute. A little dusty to work with, but not toxic in any way, and super effective insulation. My new Tiny Home in process. Heavy metal bracing to support the build safely and securely. 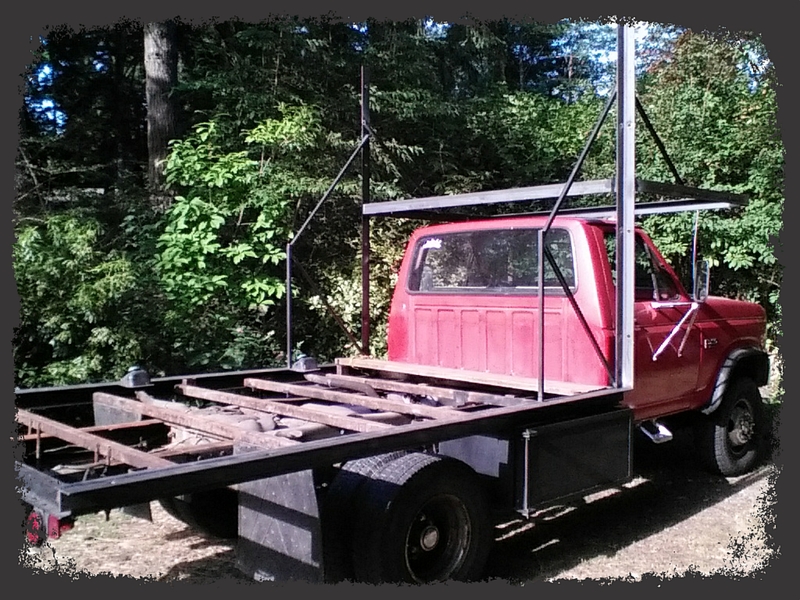 The bed is a full 8 by 10 feet, and the cab-over frame is 8 by 5 ft. Plenty of room for a Tiny Home. I haven’t given up. I can’t give up. 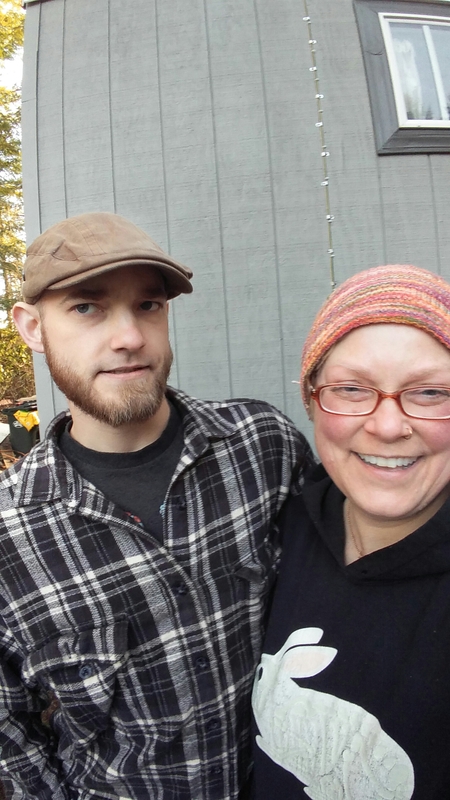 My mother’s passing left me with nowhere to live while finishing up my Tiny Home, and I need a place to live, right? Since the Original Oliver’s Nest isn’t even close to being liveable, I turned my attention to the truck I purchased to tow it….he (yeah, I know vehicles are normally a “she” but look at this beast!) 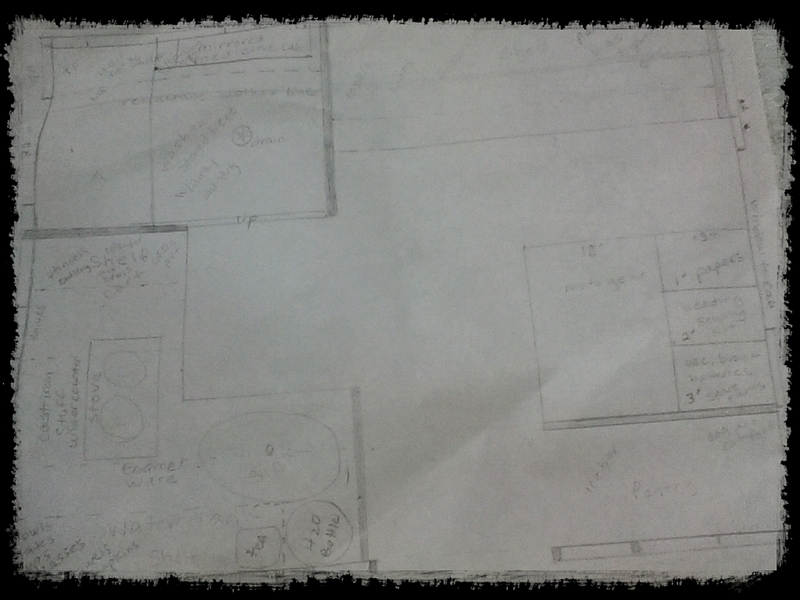 is going to be transformed into the new version of Oliver’s Nest. I’ve even named it; meet Buster Poindexter the truck, also known as The Tonka (named by the guys who generously welded on the supports, created huge watertight storage boxes, and fixed the hole in the floor on the driver’s side). My scooter will fit snugly and safely behind Oliver’s Nest on this carrier. It’s lightweight enough for me to handle by myself. Important for a woman living alone on the road. Everything I need to live. 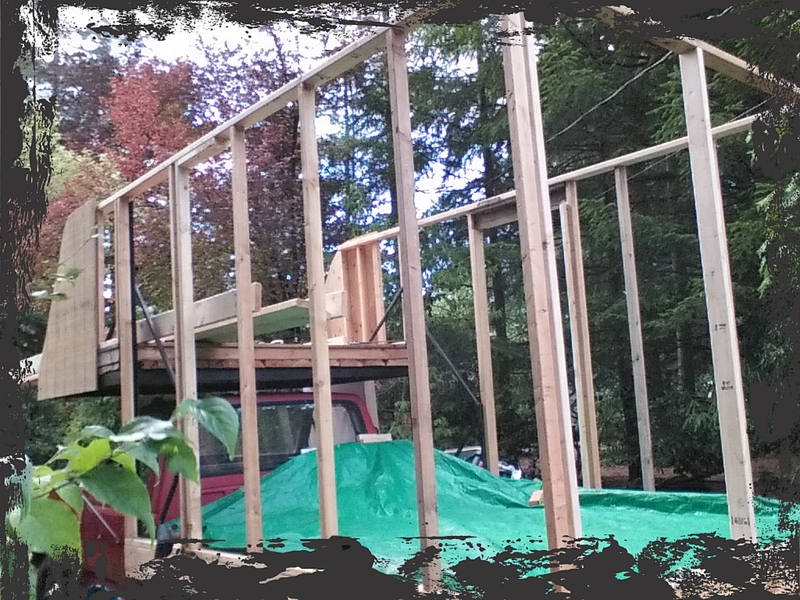 the bed area isn’t shown, but will be 7 1/2′ by 5″, over the cab. 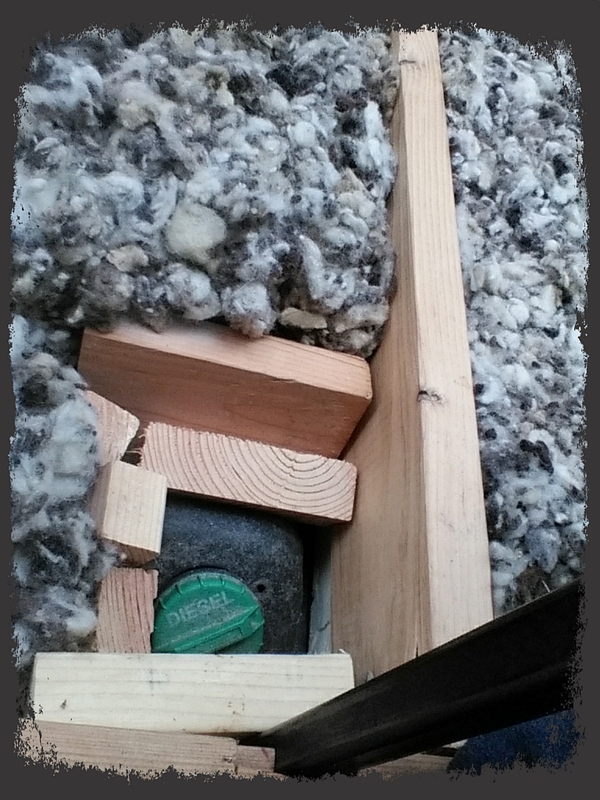 Compared to the original Oliver’s Nest, this framing is simple! 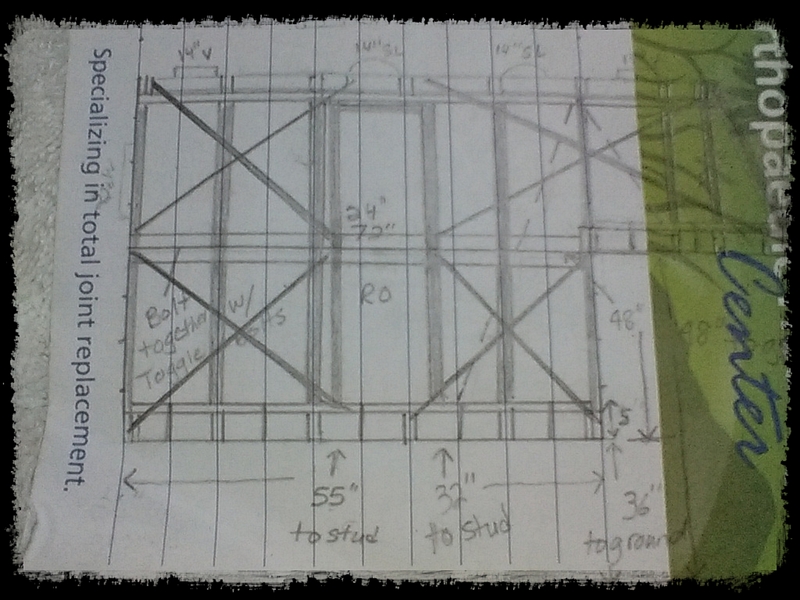 Going to use lots of metal strapping as this home will be extremely mobile. It’s hard to see, but basically the shower/toilet area is in the upper left corner, the kitchen in the lower left area, the HUGE closet takes up the upper right, and the pantry, bench storage and steps are located in the lower right. The entry goes between the pantry and the kitchen (on the passenger side). a 40 gallon fresh water tank will sit under the kitchen counter, and I haven’t decided yet on the type of toilet I’ll use. 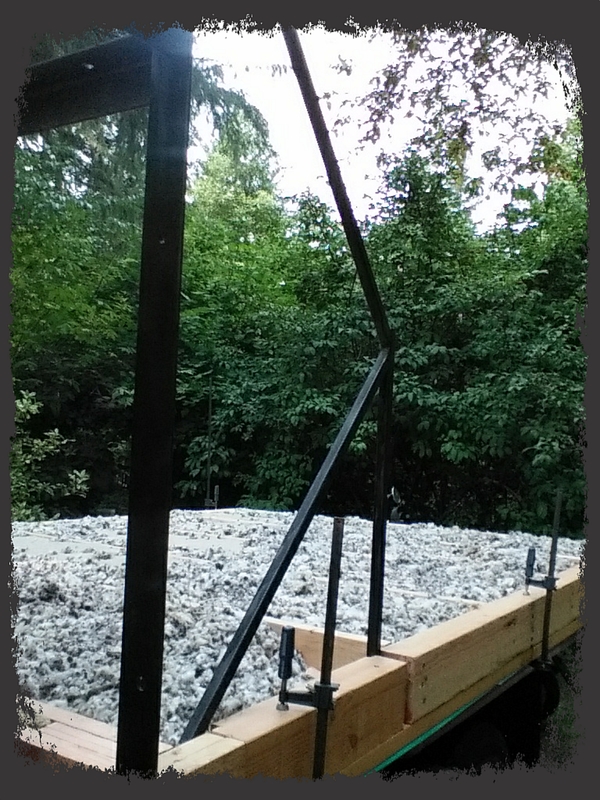 The framing will be done in two parts, a lower, “permanent” truck bed with insulated floor and walls, and an upper “canopy” that will likewise be fully insulated, and where all the windows will be located. 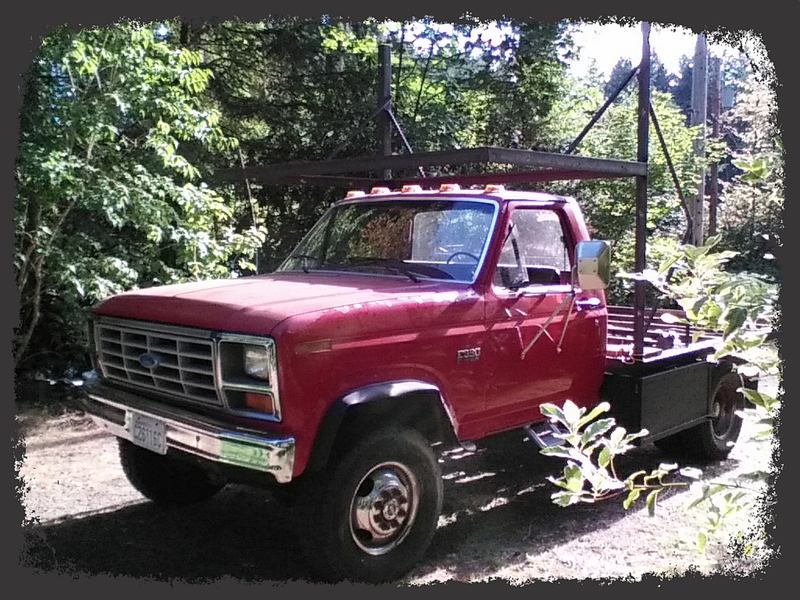 I am making it so the canopy can be removed to sit on jack stands if necessary, but as this will be my house for an extended period of time, removing it isn’t really a concern. In between selling off stuff to fund my future, sketching plans, and dealing with some severe anxiety about life in general, I’ve had to go through my belongings to pare down even more. I still have things I will keep in storage for the future, but even those have been reduced. I probably won’t live on the road forever, and I hope to have a little place to hang some family pictures in some gorgeous old frames, and I have some books I just can’t part with, and would be very difficult to replace. Craigslist, Half.com and Ebay are my friends in this downsizing. I found that some of the books I am selling go for several hundred dollars each! I’m glad I got to read them, and now they can be sold to help me financially and help someone else learn. That works for me. This is a long and picture-heavy post, I know, but so much is going on! I could even continue, but I’ll save it for another day and another post. I hope my current situation and solution is helpful to someone out there….as an alternative to being homeless or being trapped in a crummy rental place.